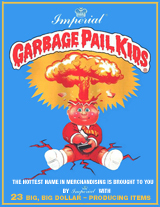 Between 1986 and 1987, Imperial Toys released the largest collection of Garbage Pail Kids merchandise of any manufacturer. 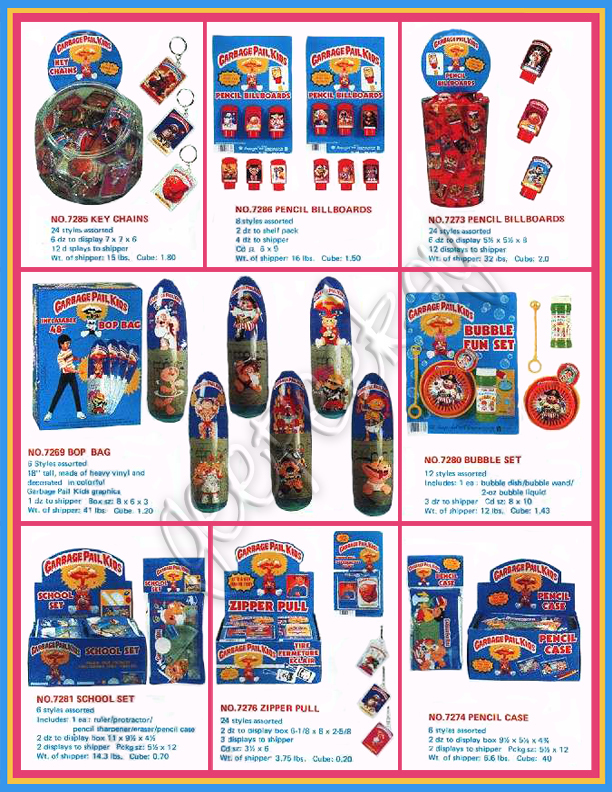 Their products included stickers, toys, school supplies, and more. 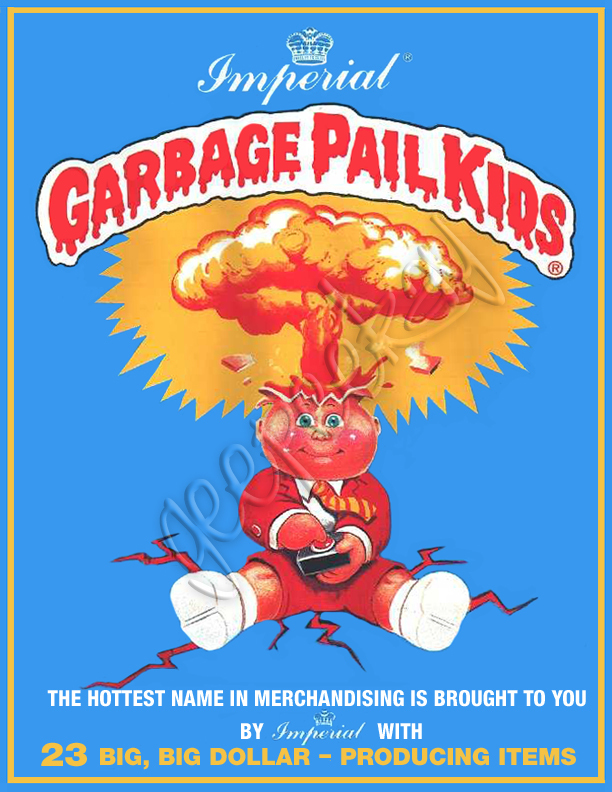 Easily recognizable by the brilliant blue packaging, these items have become a particular favorite amongst Garbage Pail Kids collectors. 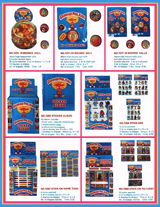 Please use the QUICKLINKS to begin your journey into the world of Imperial Toys!! 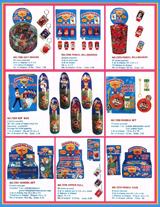 As an added bonus, you can now browse through the original 1986 Imperial Toys Catalog dedicated to Garbage Pail Kids! 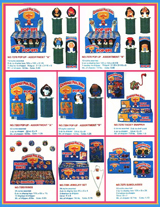 For years, a series of scans have existed of the catalog. The scans were poor in quality...containing smudges, holes, etc. 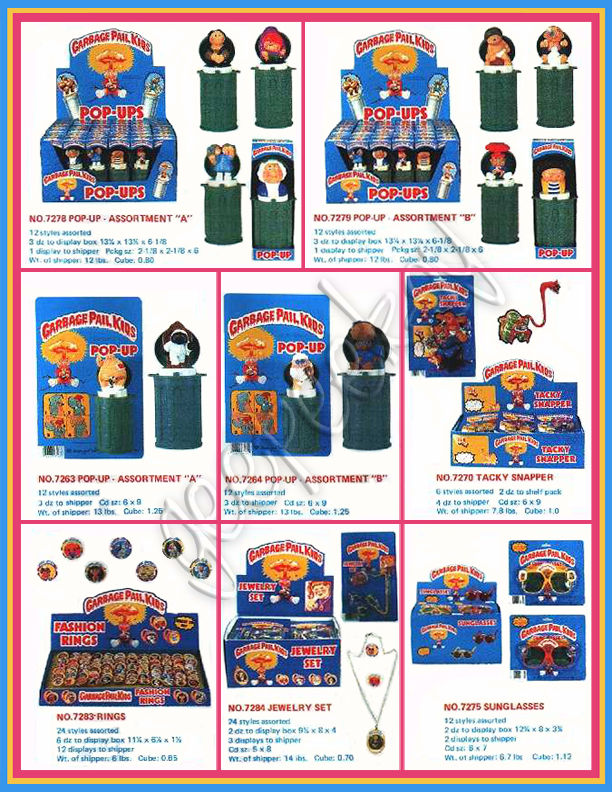 - and while they were nice-to-have, they provided little value to a collector. Using Photoshop, I have cleaned up the scans and attempted to restore them to their original beauty. 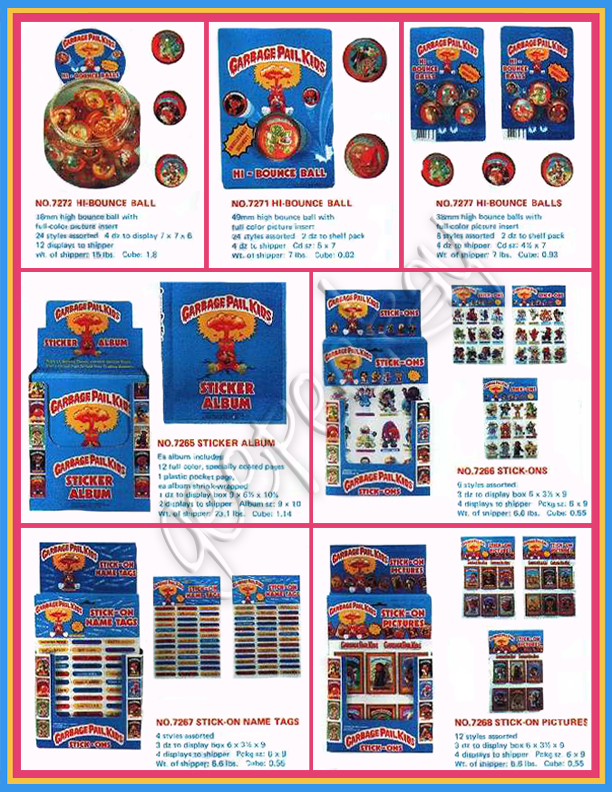 While it's unknown if anyone still actually owns the original catalog, at least collectors can now browse through the pages and learn more about this fantastic collection of toys!.